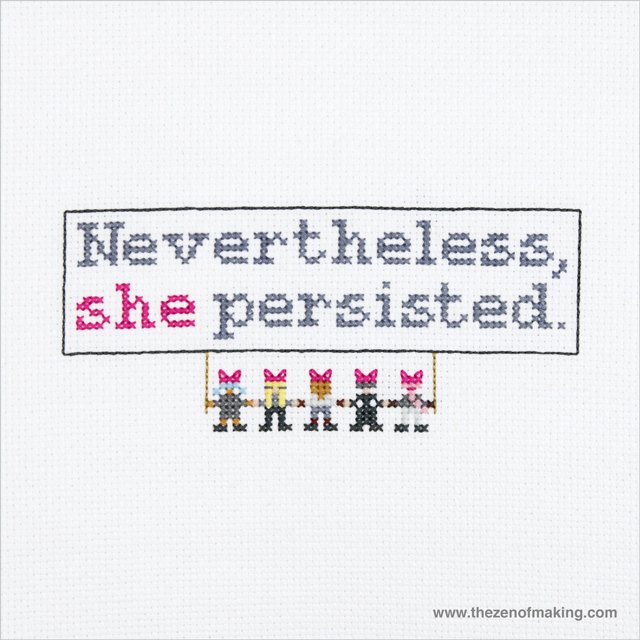 As a professional crafter and cross-stitch pattern designer, I was pretty much required to design a “Nevertheless, she persisted.” cross-stitch sampler, right? Right. 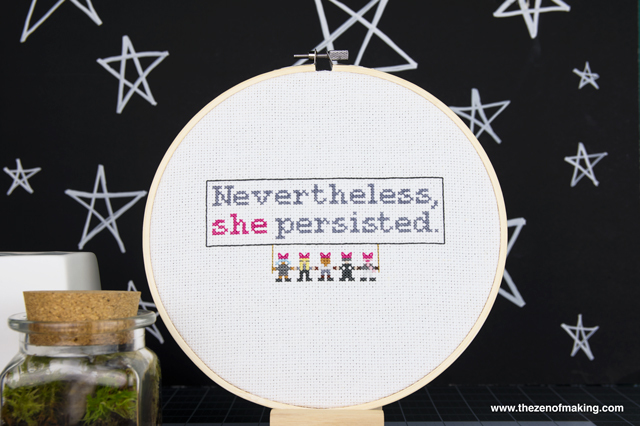 This pattern is for all of my fellow creative, crafty, pussyhat-wearing feminists out there who could maybe use a quiet of evening of tea (read: a bottle of wine) and stitching. 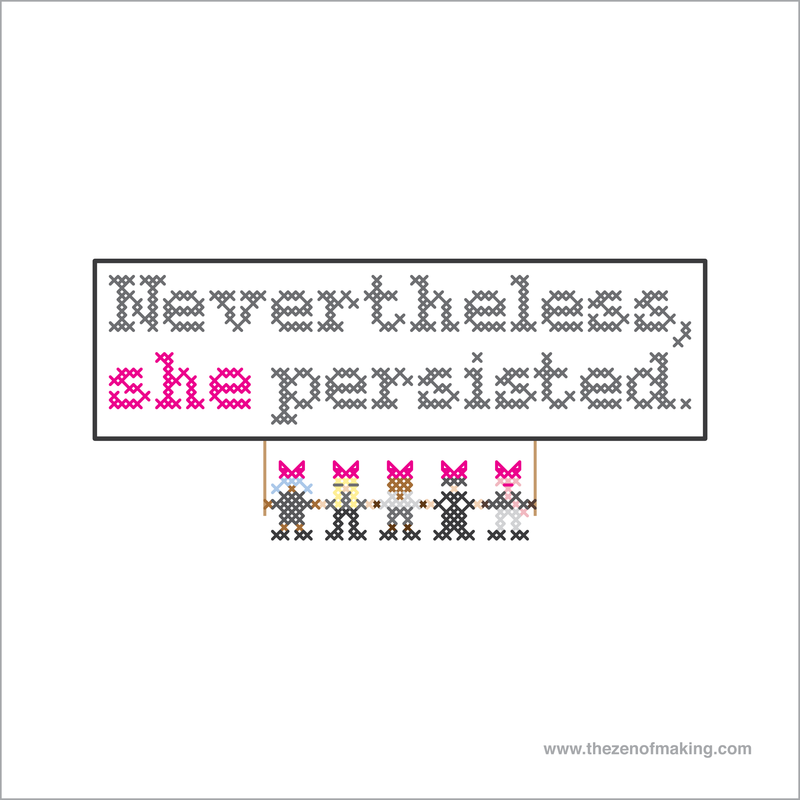 It’s my humble offering to the Resistance, since the world probably doesn’t need one more variation of the pussyhat pattern right now. 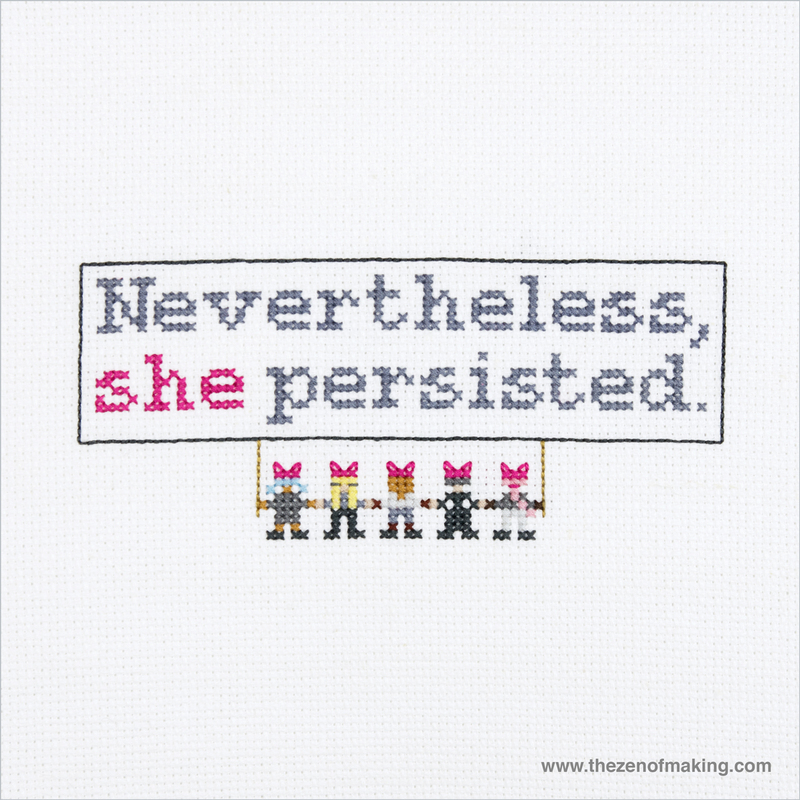 (Though, rest assured, I *do* have a pattern of my own.) 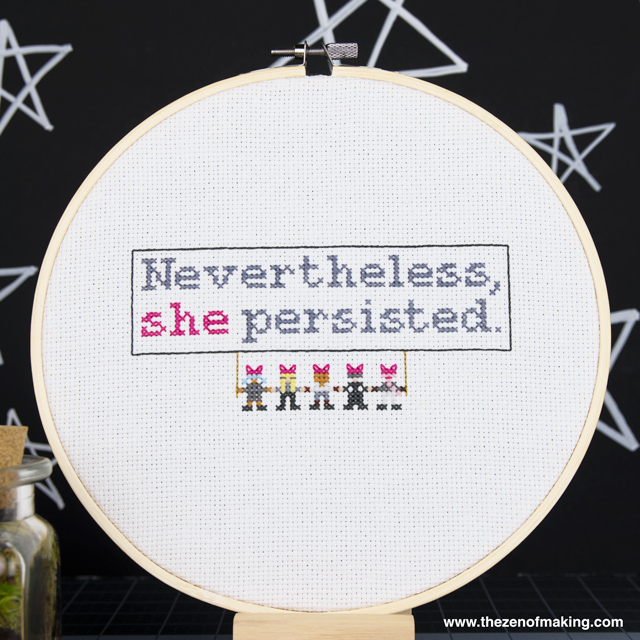 So, if you need a little break from knitting hats, calling your congresspeople, and otherwise lending a hand in your community, I invite you to spend the night recharging with this beginner-friendly cross-stitch project.  Please note that the links provided below are affiliate links, and I will be compensated if you choose to make a purchase after clicking through. 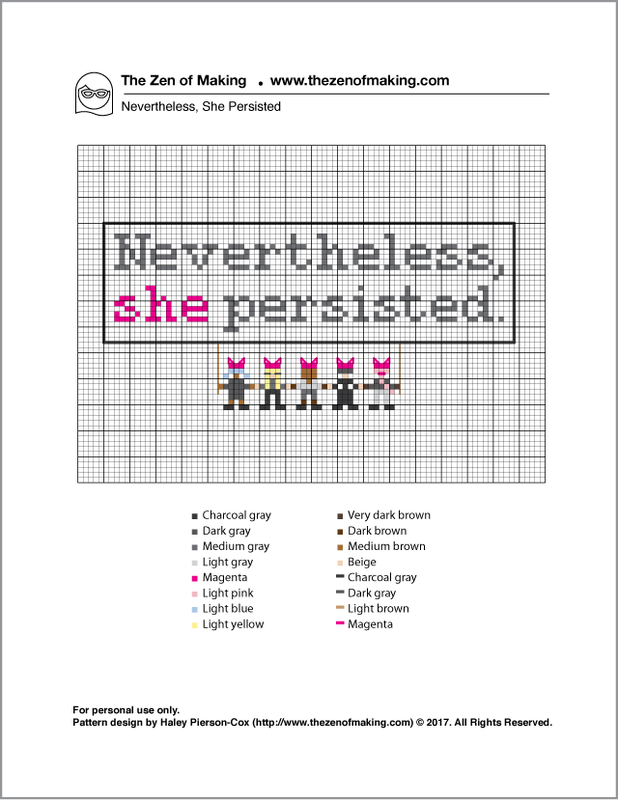 Have you been knitting pussyhats, making signs, or working on other creative feminist or political projects? Feel free let me know what you’ve been up to in the comments—I’d love to see/hear about what you’ve been working on! Note: It’s entirely possible that, if you’ve stumbled upon my site via one of my other projects, you might be surprised by this post. (Spoiler alert: I’m a liberal who swears quite a bit.) It’s also possible that you might not agree with my politics. And, you know what, that’s okay. That said, if we’re not in agreement, this is clearly not going to be an ideal project for you. 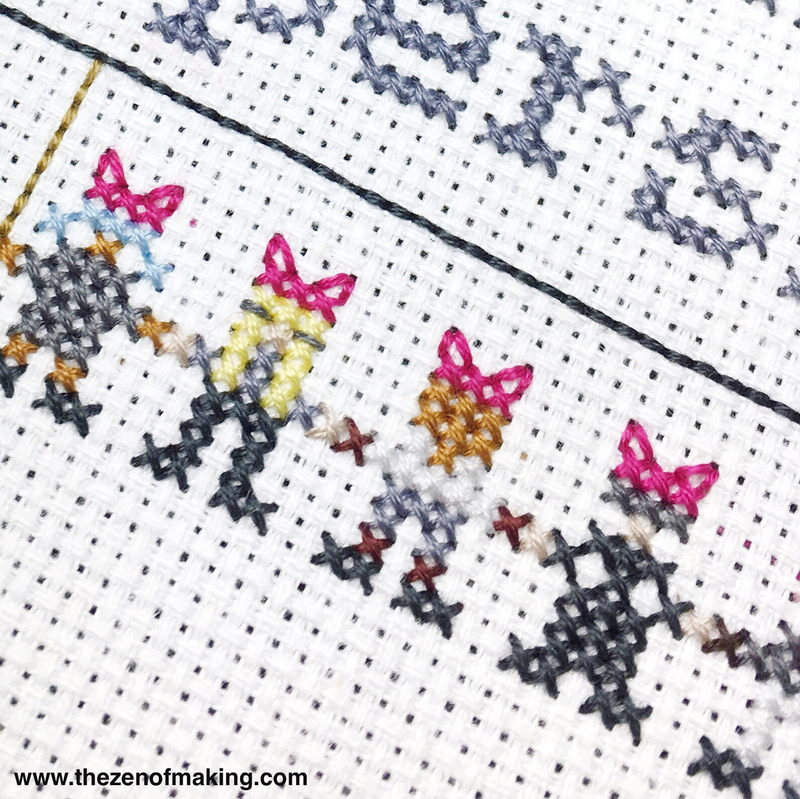 Might I suggest checking out my other tutorials to find something more to your liking?